Email marketing is the preferred means of communication between those wishing to learn more about a topic and those providing this information. You may be surprised that I didn’t say that social media served this purpose, but the fact is that the social media experience is connected to down time from thinking about business and other important issues for the majority of people. When you want to connect directly with prospects and clients, do it with email. I send out emails to my community anywhere from seven to ten times each week. This allows me to share a little about myself and what I am doing, as well as to let my people know what is available to them to help them to reach their online business goals. I may recommend my own or other people’s products, services, and courses, or to tell them about my latest blog post on a topic of interest to them. It is also a way to stay connected with people in order to build relationships over time. 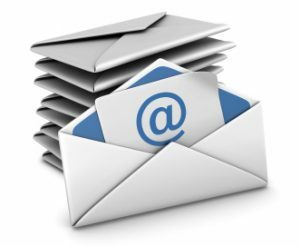 Email Marketing: When Do You Begin? Begin your email marketing campaigns as soon as you have even one person on your list. This is an activity that takes some time to master, so there is no time like the present to jump right in. I began sending email messages to my list when there were only about a dozen people and this gave me the practice and the experience for when more people joined. By the time I had a hundred people I was already accustomed to staying in touch regularly. And remember that people join your list by choice and may unsubscribe at any time by clicking on the link at the bottom of your message. This is in accordance with the CAN-SPAM Act of 2003, signed into law by then President George W. Bush on December 16, 2003, establishes the United States’ first national standards for the sending of commercial e-mail and requires the Federal Trade Commission (FTC) to enforce its provisions. My emails tend to be about two to three hundred words in length, and I break this up into about a half dozen short, narrow paragraphs. My goal is for people to not be forced to scroll and to be able to easily read my messages on any device they are using. I want the user experience to be a positive one for them. I also include at least two clickable links within each email I send out. Even though some people in the online marketing community strongly believe that email will soon go by the wayside, many of us still have faith in this system. And there are no viable alternatives available at this point in time. I only want to receive text messages from friends, family, and some retailers, and social media is not the best way to share information with your community for a variety of reasons. Email marketing works and I would encourage you to learn more about this today. I offer my Really Simple Email Marketing training course both live and in Home Study and would love to have you come aboard. This entry was posted in Online Marketing Tips and tagged Email, Entrepreneurs, Marketing on February 24, 2017 by Connie Ragen Green.